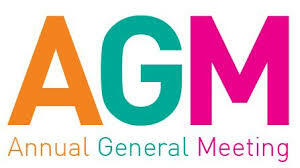 At this time we are now accepting nominations for executive & committee roles which will be voted on in our Annual General Meeting on Thursday, May 31st at 6:30pm. Any parent is welcome to put their name forward for a position. Most do not take up a lot of time per month, and you are welcome to share the role with another parent, if you desire. Being a part of our PAC is more than just fundraising or debating which pizza vendor is better. We're a group of dedicated parents who want to see our school community thrive while giving our students as many extra learning opportunities as possible. With that being said, our executive positions MUST be filled in order to receive BC Gaming Grant funding for Adams Road Elementary. Unless parents step up to fill these roles we will lose over $10,000 in funding for 2018/19! There will be goodies & childminding at the meeting.